Blanding's turtles are listed as threatened in the state of Minnesota and are a species of special concern in surrounding states. Right now, these turtles are moving upland to lay eggs. 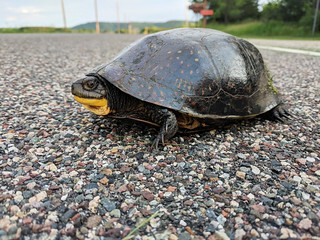 Turtle crossing signs help alert motorists of their presence.